Sunlight streamed through the forest of IV poles sprouting all around me. Bags of blue chemicals hung like strange fruit from my daughter’s IV tree. The dye had already begun to stain her skin from the inside out, turning her a frightening purple-gray. Serenity, with her magnificent cheekbones accentuated by illness, slept in one of the many lounge chairs lining the infusion center while the poison dripped into her veins. Her husband, Michael, was off foraging for lunch, and I was rereading the same magazine page for a fourth time. Across the aisle, a woman made eye contact. Don’t do it, I begged silently. Don’t come over to tell me your story. But she did. She told me the whole saga from her daughter’s diagnosis, through the failed treatments and the doctors-who-didn’t-understand-how-she-suffered, all the way to this final attempt to eradicate the disease with more chemo that wasn’t working. Instead, I smiled and nodded and said how sorry I was and that I hoped this would work. And I suddenly understood why I had rebelled against the idea of the free lodging offered by the hospital, and why instead we were using up our savings to stay at a Holiday Inn. I didn’t want to return in the evenings to more illness. I wasn’t looking for a support group of other-mothers-of-daughters-with-disease. What I wanted in those weeks, and what we had, was a support group of life. Friends on social networks posted the latest antics of their two-year-old just to make us smile. Followers tweeted about the books they read, the movies they saw, the music they heard. Family members wrote lengthy e-mails describing anything that wasn’t the cancer ward or the infusion center or the hospital waiting room. Promises of prayer came hourly from places as far off as England and Australia and Nebraska. 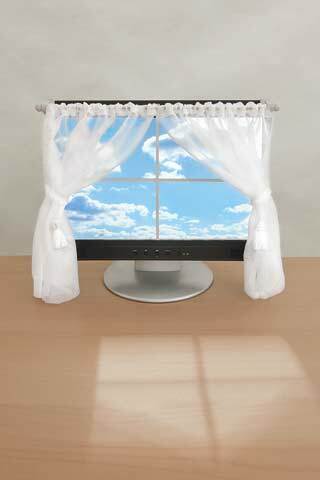 One morning I saw Serenity smile at her laptop screen through her chemo-induced haze. That’s the support group I want. I understand the need to bond with people who are sharing our experience. I get that we need to help one another through baldness and bad reports. But I need another kind of support too. I need people on the outside who aren’t counting white blood cells or antinausea pills. People who can peek through the window of our lives and remind us the world is still out there, waiting for us to return and laugh again.